As a member of the community for 28 years, Cheryl Krause has seen the ups and downs that Albion has gone through over the past few decades. 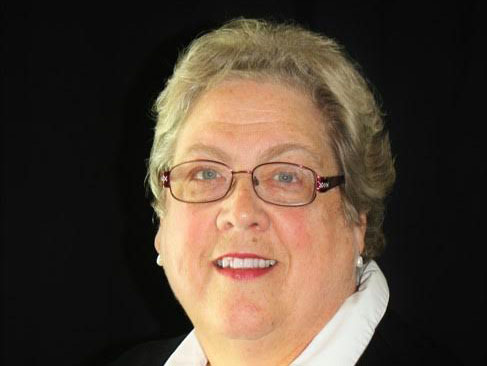 Krause has been a registered nurse for 38 years, and 18 of those have been with Albion College Health Services. For 12 years, Krause has been a member of Albion’s City Council as a representative of the 5th Precinct. “I was dissatisfied with some of the things going on, and I wanted to see if I could make them better,” said Krause when asked why she wanted to run for mayor. Some of the core components to Krause’s campaign include improving road conditions, supporting current businesses and recruiting new businesses, improving housing and empowering city employees to move the town forward in creative ways. With the new Courtyard Marriott hotel coming to downtown Albion, Krause believes that potential spinoff businesses can be created. There is a new Label Shopper clothing store that will provide people a cheaper way to shop for their clothes. Krause says that she’s always excited to see new restaurants come to town, like Taco Bell and the microbrewery that will be opening in the future. “Sometimes, because we don’t have a large variety of things, we have a tendency to go outside our own town, which is a problem,” said Krause. As the director of health services at Albion College, Krause said she would like to see an urgent care center here in Albion, since Trillium Hospital closed in 2002. Albion’s population has to drive out of town to get to anything after hours. One thing that has been a problem for Albion is the price of housing. Although it’s low-priced, it became an issue after the town lost its major businesses. Because of that, the property tax has gone down and is a serious issue for the town. A lot of the housing and stock that Albion has is not what people are interested in, so it’s hard to bring new people to town. According to Krause, many of the homes were built in a time where it was common to have the only bathroom on the top floor. Building new housing is one thing that Krause would like to see, but specifically, she would love to see apartment-style housing above shops and restaurants. “I go to other cities, and I see neat, new apartment-style loft living. And we know for a fact that’s what the millennials want: They want to live, work and not have to travel a whole lot,” said Krause. Krause also mentioned some businesses that are coming into the area, such as Brembo Brakes in Homer, Michigan, which can provide jobs for people who come to live in Albion. Krause says that she wants employees to feel supported when they come up with ideas like cutting costs efficiently. Just recently, Albion wrote a grant that would help them renovate their wastewater treatment plant and was just awarded a grant that will help them improve Holland Park. However, Krause wants to see projects around the city be completed when they’re started, not just left alone. Krause credits the stabilization of the Bohm to the beginning of the revitalization downtown. The Bohm is expanding into the surrounding buildings, where there will be a small screening room that can show films for a more focused audience. Krause wants to be a part of the revitalization of Albion, but she knows that it’s going to be tough. Last spring, Albion voted to combine their school system with Marshall Public Schools. The partnership with Marshall is one step in creating partnerships to improve Albion’s quality of life. Krause feels that a partnership with the county to help with the roads is something that could happen. The integration with Marshall Public Schools is one step into helping Albion’s unique problems. The Albion-Marshall connector, a transportation service between Albion and Marshall for senior citizens and people with disabilities, is also another way Albion is trying to solve their problems with the help of surrounding communities. Voting for elected officials takes place Tuesday, Nov. 8. Go to Albion’s website to find your voting location. This article is part of a series. Keep watching The Pleiad online for more about the mayoral candidates.